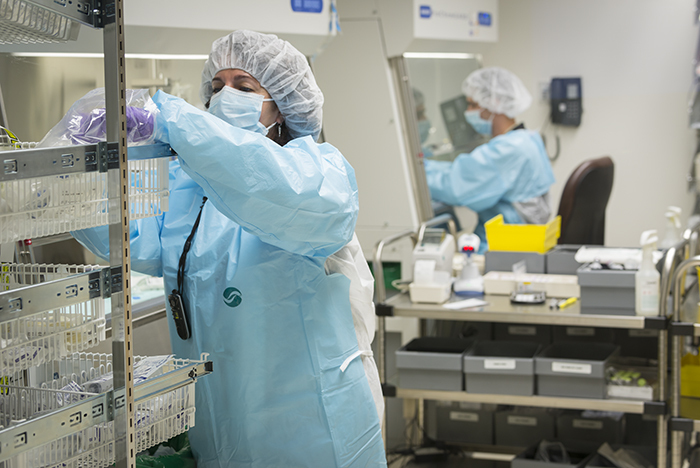 While nurses help patients settle in for their infusion appointments at the Upstate Cancer Center, the chemotherapy drugs they will receive are prepared in a sterile room just a few steps away by pharmacy technicians and pharmacists who specialize in oncology. Having a dedicated pharmacy team nearby allows for easy collaboration among providers, nurses and pharmacists. In addition, pharmacists are readily available to field patient questions, assist when a patient has an adverse drug reaction and provide answers about oncology medications. 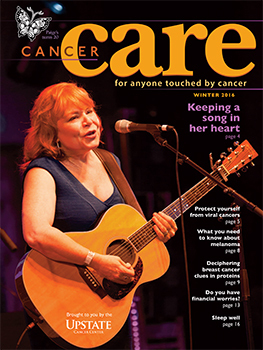 This article appears in the winter 2016 issue of Cancer Care magazine. This entry was posted in cancer, drugs/medications/pharmacy. Bookmark the permalink.